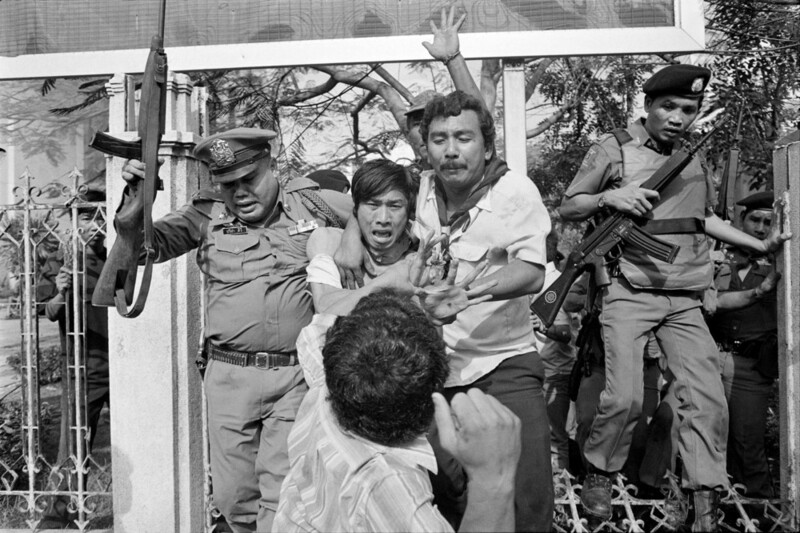 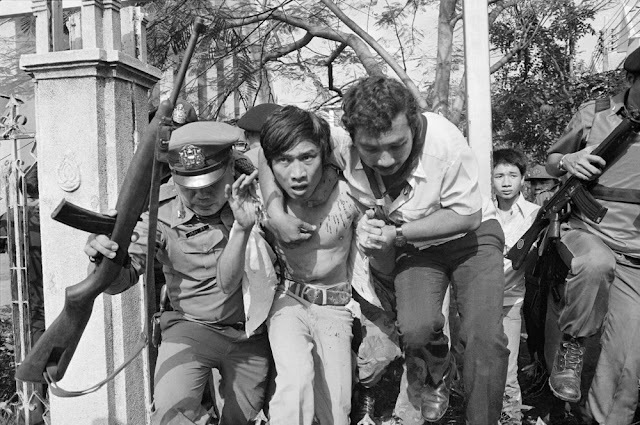 The Thammasat University massacre was an attack by Thai state forces and far-right paramilitaries on student protesters on the campus of Thammasat University and the adjacent Sanam Luang Square in Bangkok, Thailand, on 6 October 1976. 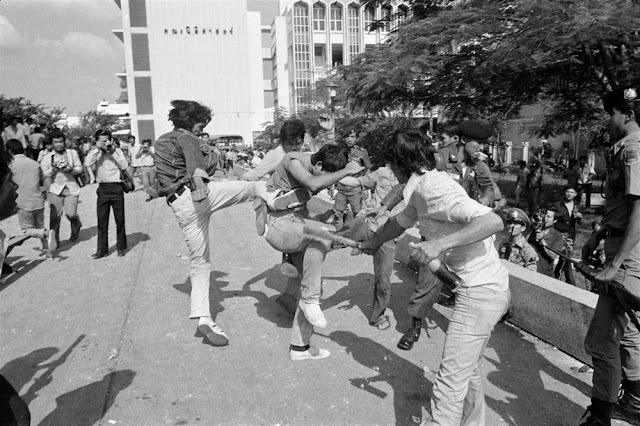 Prior to the massacre, four to five thousand students from various universities had demonstrated for more than a week against the return of former military dictator Thanom Kittikachorn to Thailand from Singapore. A day before the massacre, the Thai press reported on a play staged by student protesters the previous day, which allegedly featured the mock hanging of then Crown Prince Vajiralongkorn. 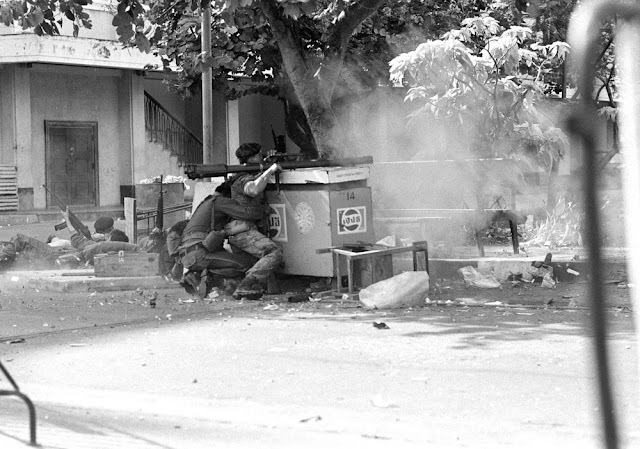 In response to this rumored outrage, military and police, as well as paramilitary forces surrounded the university. Just before dawn on 6 October, the attack on the student protesters began and continued until noon. 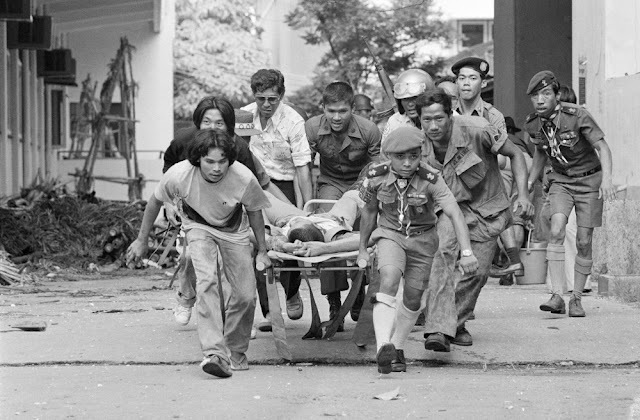 To this day, the number of casualties remains in dispute between the Thai government and survivors of the massacre. 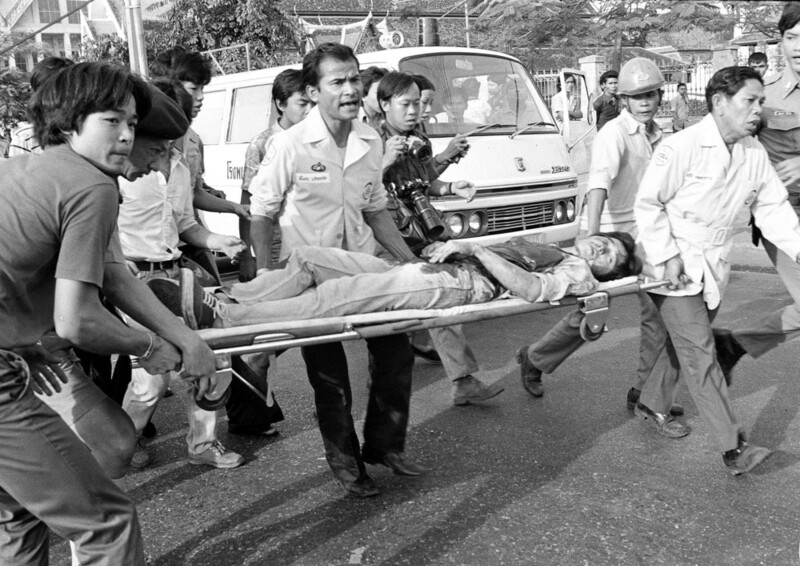 According to the government, 46 died in the killings, with 167 wounded and 3,000 arrested. Many survivors claim that the death toll was well over 100. 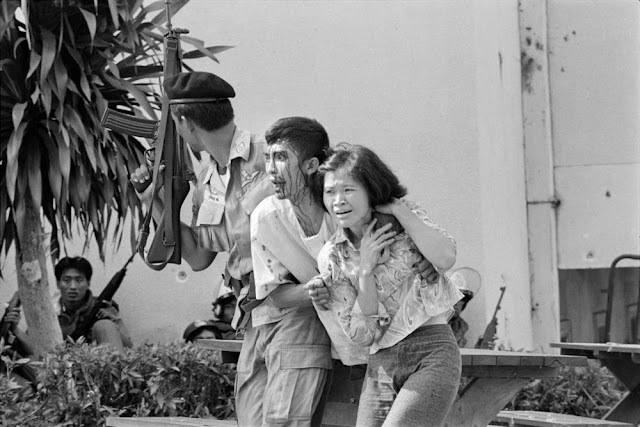 Associated Press photographer Neal Ulevich won the Pulitzer Prize for his photos of the suppression of a left-wing student protest at Bangkok's Thammasat University on Oct. 6, 1976, and the brutal lynchings in its wake. 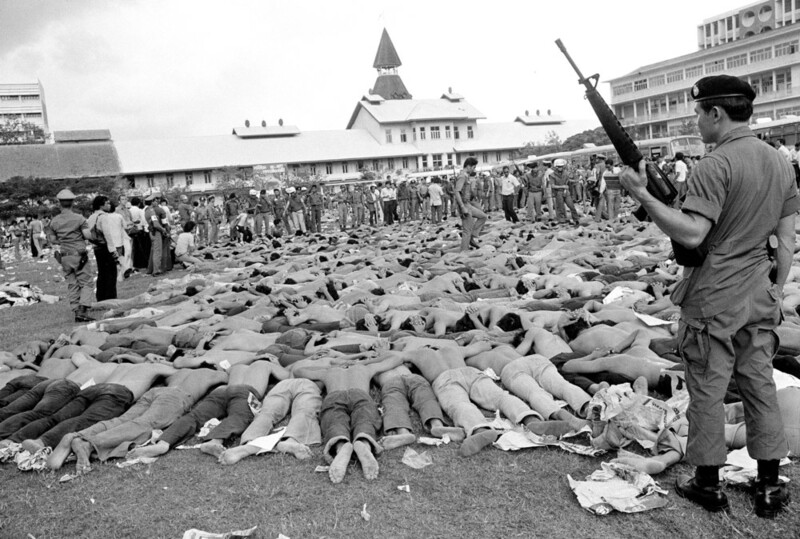 Ulevich, then 30, arrived as a night of tension at the campus broke into a full-scale assault by paramilitary police on thousands of trapped and defenseless students. 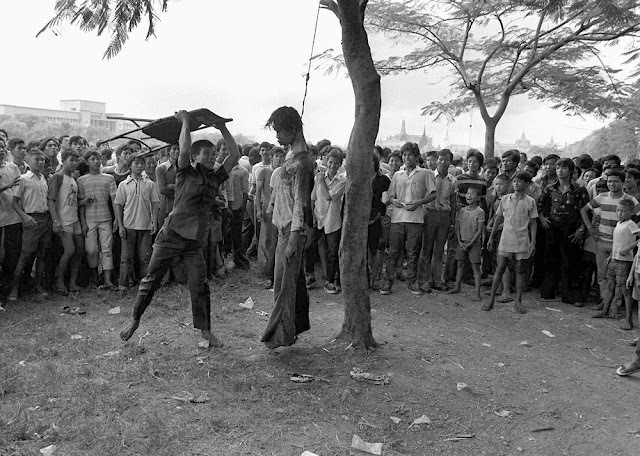 After winning the Pulitzer, he said his happiness "must be tempered with grim memories of the day. 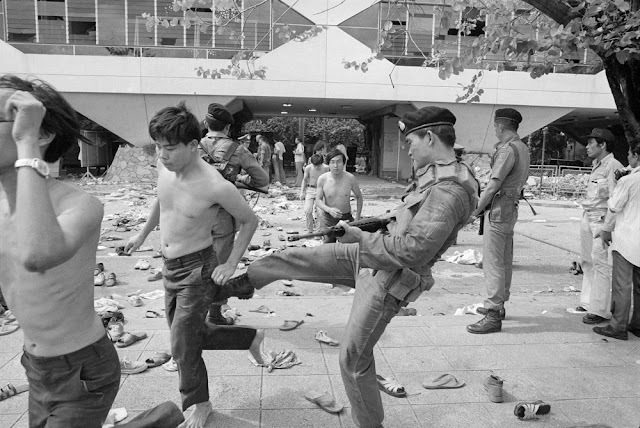 If there is any value in the pictures it is that they may have made some people pause and think about the wider issues such as hatred and violence."